Police say a Hillsboro woman was passing a car along River Road when she was struck head-on. Editor's note: This story has been updated with new information. 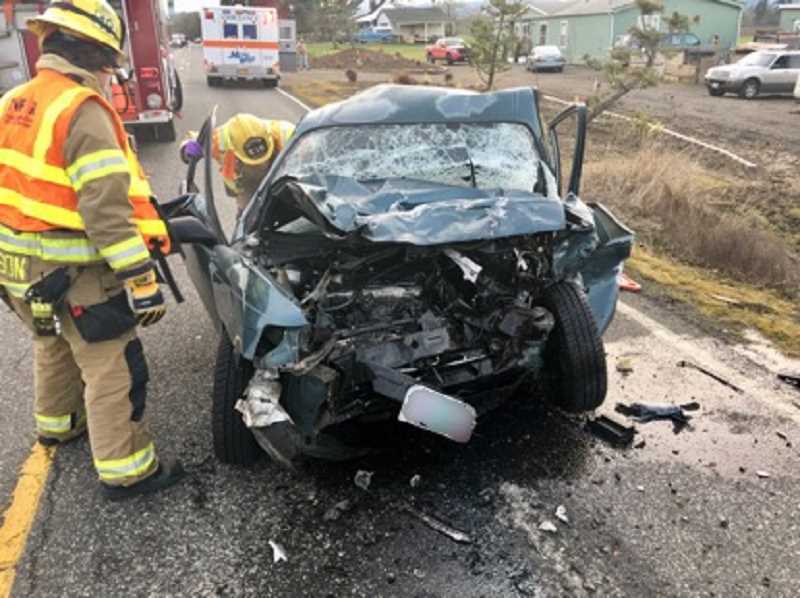 River Road re-opened to the public at 5 p.m.
Washington County Sheriff's deputies are investigating after a 55-year-old Hillsboro woman was killed in a head-on crash on River Road, Tuesday afternoon. Kimberly Clowdus was traveling northbound on Southwest River Road at about 3:04 p.m., Jan. 2, when she attempted to pass another vehicle in the 10500 block of Southwest River Road, not far from the Cruise In Country Diner, according to Washington County Sheriff's spokesman, Jeff Talbot. As Clowdus' green 1994 Toyota Tercel crossed the travel lane to make the pass, the vehicle was struck by a 2004 Chevrolet Suburban, which had been traveling southbound, Talbot said. Clowdus died at the scene. The driver of the Chevrolet was taken by ambulance to a nearby hospital with minor injuries. Her name was not released. Southwest River Road was closed between Farmington and Scholls Ferry roads until 5 p.m.